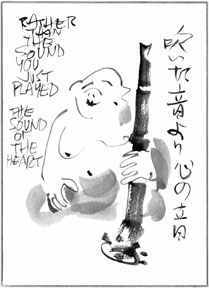 The Sound of Bamboo—Shakuhachi: A Journey of Discovery was written by Bob Berlin-Grous over three decades ago, between 1974 and 1980, when he studied shakuhachi with the esteemed teacher Sato Seibi and Zen Buddhist philosophy with Abe Masao . The manuscript was carried over time and across continents, but only now appears in print for the very first time. This comprehensive edition is far more than a personal narrative. 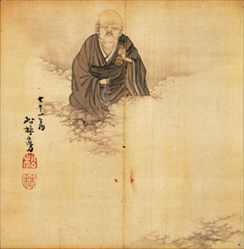 It is a thoroughly-researched treatise providing a complete overview of shakuhachi and its relationship to Japanese culture and foundation in Zen Buddhism. 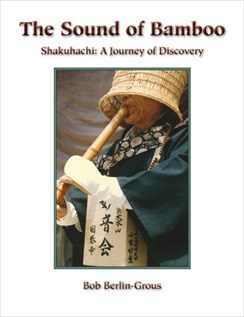 The book starts out with a description of the craft of the shakuhachi, exploring every aspect of how the instrument is traditionally made by craftsmen in Japan. Each step in the process is carefully documented. Selection and harvesting of madaké bamboo in the grove is followed by information detailing all aspects of the traditional craft. Chapter 2 explores the Japanese sense of sound, describing the unique acoustical sensibilities deeply embedded in Japanese culture, language and physiology. 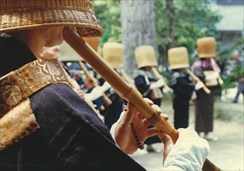 Bob explains how the shakuhachi’s tonal variability and association with nature embodies nuanced ways of perceiving the world, making is a perfect vehicle for spiritual practice and aesthetic expression. 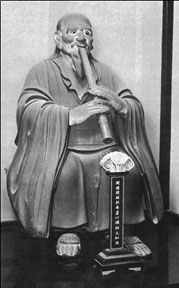 A review of the historical evolution of the instrument and its traditional music is followed with with a detailed analysis of shakuhachi honkyoku from both a Western analytical and Japanese perspectives on music theory. The piece Hi Fu Mi Cho is analyzed phrase-by-phrase in order to shed light on the structure and tonal phrasing of honkyoku music. 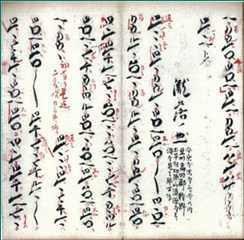 Other more contemporary forms of Japanese music such as Gaikyoku, Juita and Shinkyoku or New Music are also covered in this chapter. The final section of this book presents an exhaustive discussion of the religious foundations of shakuhachi and honkyoku music and their association with Zen Buddhism in the hands of Komuso priests of the Fuke tradition. The Sound of Bamboo includes 56 rare photos, illustrations and diagrams collected by the author during his time in Japan. 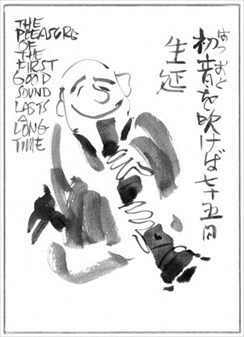 The most amazing of these are a series of shakuhachi-themed sumi-e paintings by the famed artist Clifton Karhu (1927-2007), the memory of whom this edition is dedicated. These profoundly beautiful and moving sumi-e prints appear in print for the very first time. Each are full-page reproductions printed on high-quality 28 lb. laser presentation paper.